When Ms Han’s considerable achievements were pointed out to the students during the talk about the Hall of Fame, they clapped and cheered enthusiastically. Ms Han was only able to realise her dream of becoming an artist when she was in her 30s. Her humble beginnings meant she had to work, as a teacher, for 12 years in order to save enough money to pursue a Fine Arts degree in the United Kingdom. 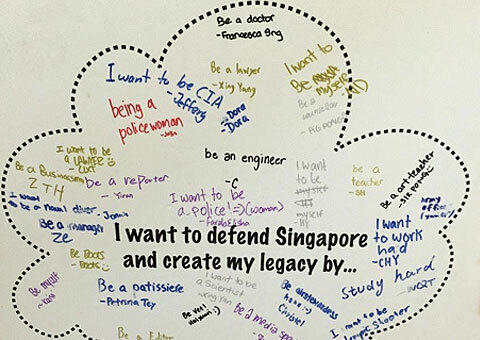 On returning to Singapore she continued to work as a teacher, on a part-time basis, so she could pay the bills. 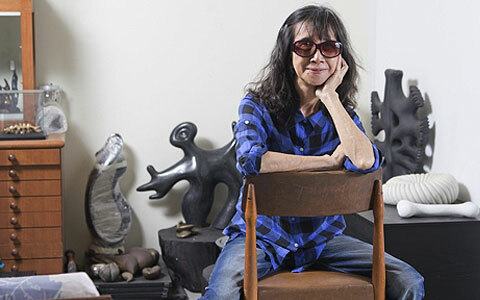 Her portfolio and reputation and grew and in 1995 she was awarded the Cultural Medallion, Singapore’s highest award for the arts. The following year she became a fulltime artist. She is now acclaimed internationally, having won the top prize at the 11th Triennale India in 2005 and the Outstanding City Sculpture Award in China in 2006. 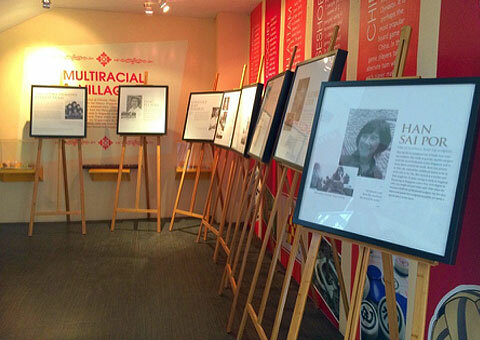 She was also a finalist at the Beijing Olympics International Tour Exhibition in 2008. 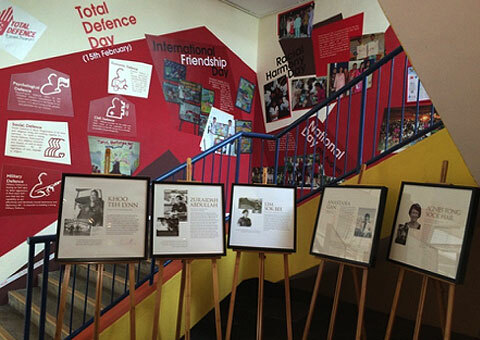 During its week-long commemoration of Total Defence Day, the school, which is in Hougang, staged an exhibition featuring all the Hall of Fame inductees in the Uniformed Professions category and several others from other categories.